The band Linkin Park has contributed their music to the world of motion pictures before with singles on the soundtracks for Transformers and a reworked score for The Raid: Redemption, but now Deadline reports beat master Joseph Hahn (or Mr. Hahn) has gotten behind the camera to direct a feature film called Mall. The film was already released in France with the title A Day to Kill and follows a group of people who come together after a shooting in a shopping mall. Sounds like Crash, but with the more timely and relevant public shooting angle, and we have a trailer. It looks like a feature length music video, with some weird threads that will be tied together somehow, but maybe the story will be worth it? Watch now! 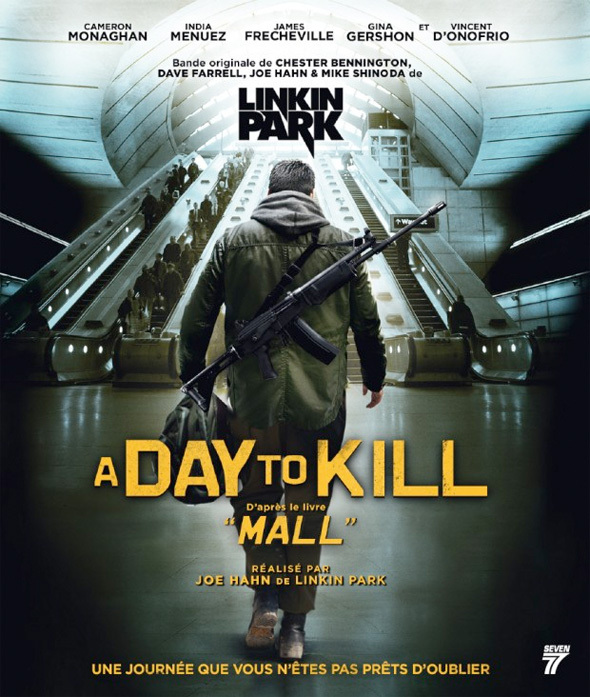 Mall (or A Day to Kill) is directed by Joseph Hahn, and co-written by Sam Bisbee, Joe Vinciguerra and actor Vincent D'Onofraio (all three from Don't Go into the Woods). Malcom’s done with his life. Only the noise of Crystal Meth gives him a reason to keep going. Equipped with a bag full of weapons and self-made bombs, he makes his way to the nearby mall to really stir things up. On his personal war campaign, he not only changes his life radically, but also the fate of other people who are in the wrong place at the same time. Vincent D’Onofrio, Gina Gershon, Cameron Monaghan, Peter Stormare and James Frecheville star in the film, also featuring new music from Linkin Park, which Paragon Pictures releases sometime this fall. Well? IMO Hahn is the most creatively talented person in linkin park, so id trust him behind the camera before any of the other members...lets hope its good. Nifty visuals. Agree about the music video look and feel. If done well it could turn out to be something like 'Hanna' (2011) though, which was pretty dope. Is this why I didn't really hear him on Hunting Party?